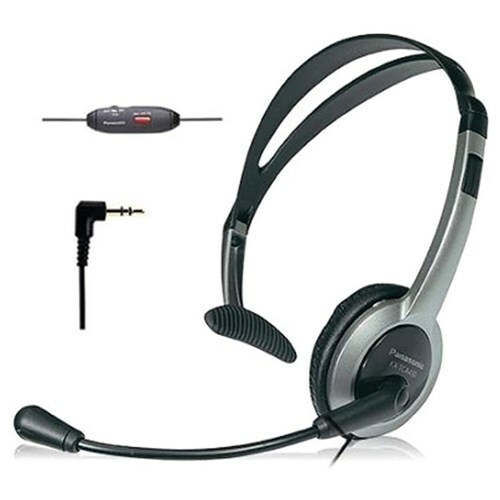 The Panasonic KX-TCA430 headset is designed for use with any cordless phone possessing a standard 2.5 mm jack. This device allows you to talk hands-free while you work. Its boom-style microphone adjusts easily to fit multiple users. The Panasonic KX-TCA430 has many exciting features for users of all types. You can extend the lifetime of your Panasonic KX-TCA430 with the purchase of a FactoryOutletStore Factory Protection Plan. See the Panasonic KX-TCA430 gallery images above for more product views. The Panasonic KX-TCA430 is sold as a Brand New Unopened Item. I'm a multi-tasker and these are just what I needed.. The first time I saw the lightweight & reversible Panasonic KX-TCA430 headset at my friend's place, I instantly fell for it. The thing I like most about it is that, I can easily fold it down for compact storage. 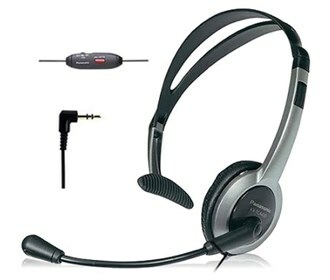 I have a Panasonic cordless phone with a standard 2.5 mm jack & I found the Panasonic KX-TCA430 headset to be a perfect fit for it. The best part is that, it allows me to talk hands-free while I'm busy with some other work in my office. My new Panasonic KX-TCA430 is just designed perfectly for my cordless phone. It is a great product with great features and value. It has given me a hands-free communication. For a hands-free communication, I have purchased the Panasonic KX-TCA430 that matches perfectly for my cordless phone. It has proved just the right match to my needs.